The door. The doorknob. It clicked and turned, opening on its own. Those stretch leather thigh-high boots I remembered from a dream when I’d had my magic poisoning: I saw the tip, and then the heel step onto the fine rug over the floor. That familiar, mixed complexion showed from her exposed thighs as Stella entered the room. Steam fogged her appearance, but I knew it was her. She had on the same corset, the same boots, the same everything. Fear crept through me as slowly as she walked. Awe opened me up, only for my terror to shut me down again. All I could do was watch as she slid aside the shower door and came inside with me. Stella used a seamless spell to make the shower water slide off of her body as if she were made of glass. She pressed me up against the cold wall, as cold as her eyes were as she stared me down. The tightness of her trained waist pushed up her breasts, full as they were already, right up against mine. “Hello, Nyte,” she whispered, chilling me in this warm water. “Wh-What are you doing—?” Stella placed her lithe finger over my lips. “Shh…there’s no need to panic,” she soothed. I started breathing hard against her hand. She gave me a slow smile. “There’s something I’d like to discuss with you. I want us to continue from where we left off. But, as you accused me of before, this will be on my terms. Is that a deal breaker for you, or should I walk away?” “No, it’s not… Please. Please, don’t walk away from me. I couldn’t take it if you did.” “Mmm, I thought so. Let’s go over how this will work, shall we?” Vigorous, eager, hungry, I nodded. I cringed. “More difficult, hm?” noticed Stella. “As dangerous as that is, I respect your wishes. If you think I’m going too far, use a safe word. No more will work. I’ll stop whatever I’m doing and take care of you. We’ll talk about what went wrong and make adjustments. Is that fair?” “Yeah… Yes. I can live with that.” “Good. Do you have any questions?” I couldn’t pin anything down with words. I shook my head, not wanting to waste her time. Stella spun me around. She pinned me against the wall, her front against my back. Those boots made her a bit taller than me, and she took advantage of it, taking up all the space around me. She tilted my head to the side, her graceful hands calculating enough to feel like a spider crawling against my skin, with the sharpness of her nails as the venomous tips of her claws. 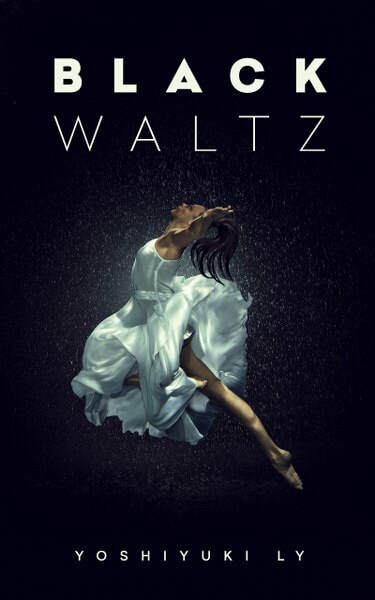 Hey everyone, I’m Yoshiyuki Ly and I’m here with a guest post for my third book, Black Waltz. My writing process is the same for every book, for every story I’ve ever written, for over ten years now since I started writing more seriously beyond an occasional hobby. I usually have music on, with headphones, to drown out anything else that might get in the way, but it’s more obsessive than that. I listen to the same song over and over again on repeat while writing any given scene or chapter. I may listen to it hundreds of times, or even a thousand times for a full chapter, until it’s finished, including the first draft and final edits. The song relates to the scene or chapter in the same way that anyone else might read and re-read an outline of what they intend to write. Listening to the song helps me draw out the visuals of whatever I feel as words on the screen. I mostly listened to video game soundtracks while writing this book, like from NieR, NieR: Automata, Shin Megami Tensei: Nocturne, and Drakengard 3. “Cold Steel Coffin” from the first NieR game is the backbone of my main character’s dancing and inspirations. I’ve never had to write anything down to keep me from forgetting things. I can listen to a song and remember scenes or story arcs that I edited out or kept out entirely from stories I wrote years ago. It might sound strange, but it’s what works for me. This is why Black Waltz is so entrenched in music. Thank you for posting my tour!